Providence Elementary needed more classroom space but did not wish to build an addition to their existing building. 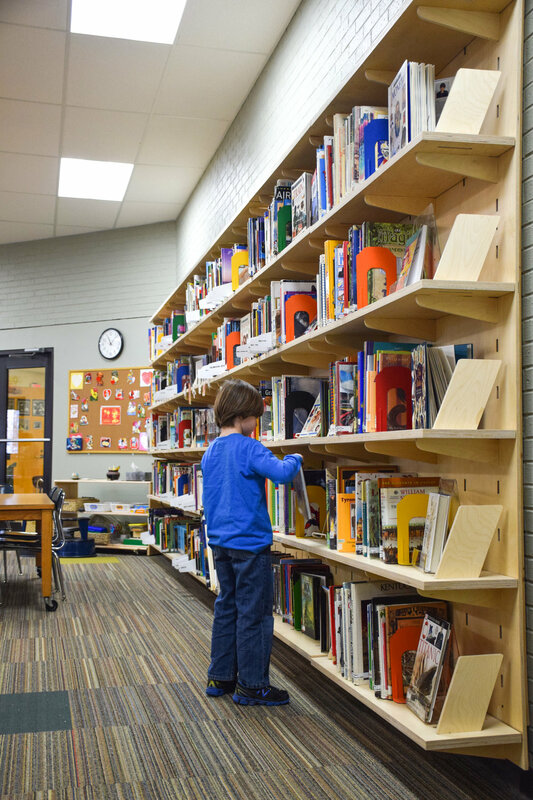 As a solution we turned their current library into a classroom and transformed a nearby existing room into a flexible area that is part library, part multi-purpose room. 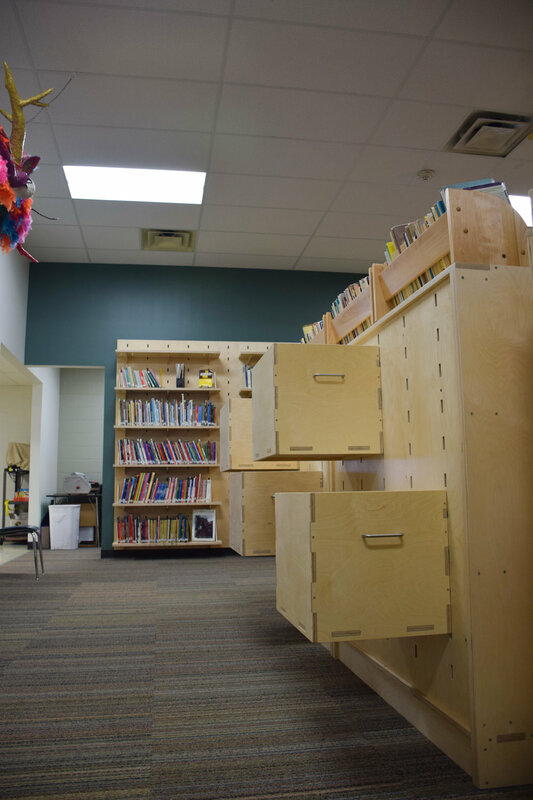 In order to maximize space we designed and fabricated mobile library storage. 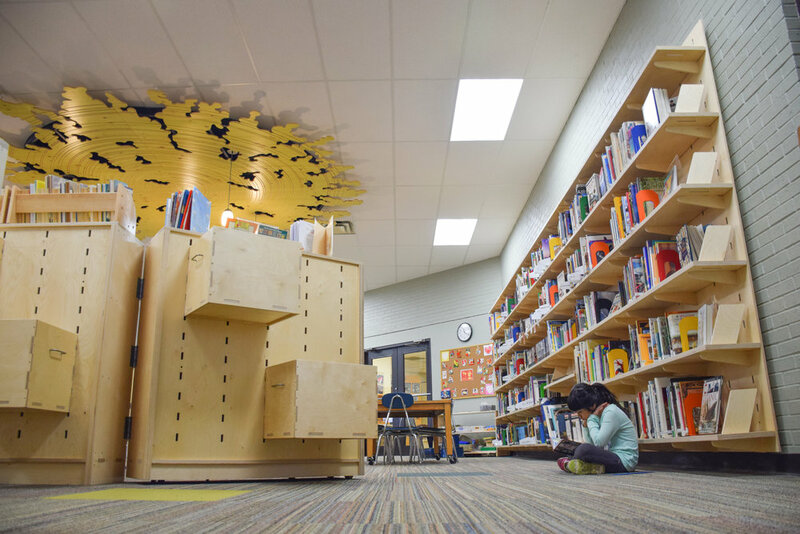 This inventive furniture design now allows the library to transform into a play area for an after-school program. Containers for books fold away to reveal containers for play. As a nod to Providence Montessori’s logo, a custom tree chandelier defines the library's central reading area. Carved into the tree are 50 rings to commemorate this Montessori school’s 50th anniversary.